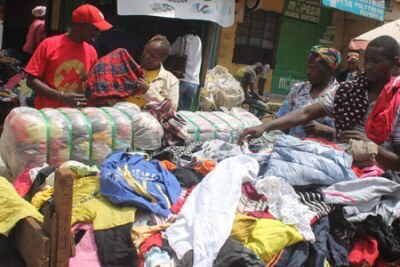 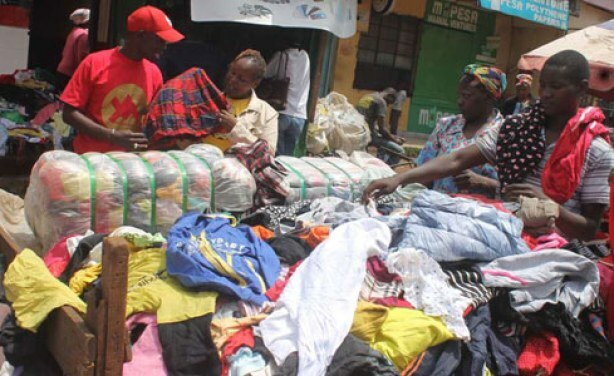 East African countries have been receiving second-hand clothing from the U.S. via AGOA, initially passed by the American Congress in 2000 to allow for low-income African countries to export some goods without paying tariffs. 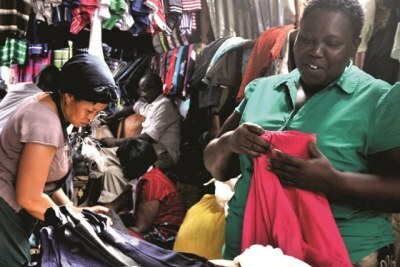 This has had a negative impact on local markets, according to Garth Frazer, Associate Professor of Economic Analysis and Policy at the University of Toronto, and when some countries like Rwanda attempted to restrict the second-hand clothing imports, the Donald Trump administration threatened to remove AGOA access. 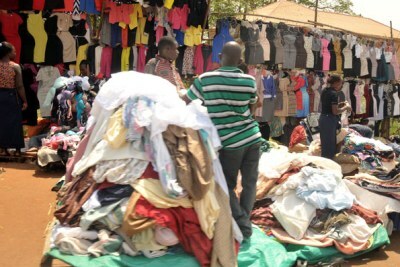 Second-hand clothes traders display their wares. 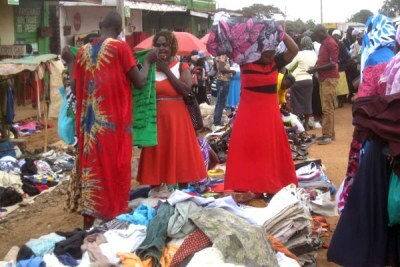 (file photo).